Vindicator Editorial: July 9, 2018 at 12:00a.m. 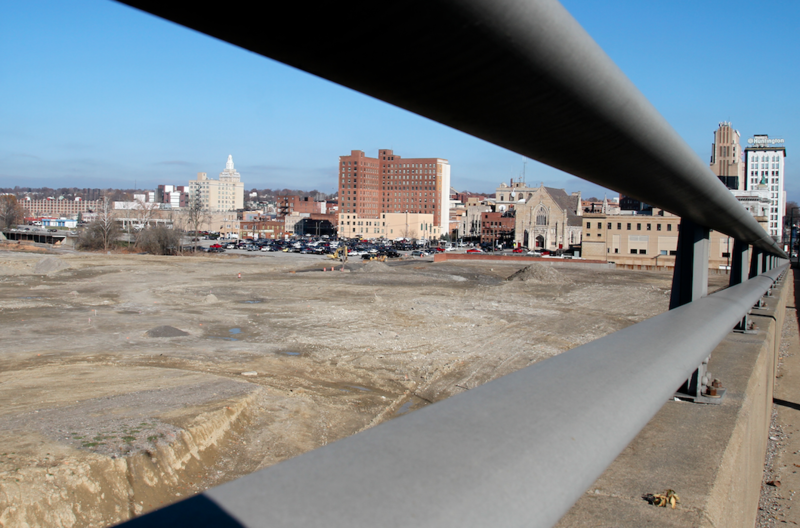 More than a decade ago, the city of Youngstown caught the eyes of the nation and the world when it first embraced an unconventional plan predicated on the notion that less can be more. After decades of population drain and urban decay, city leaders outlined a bold initiative to accept that shrinkage as a fact of life and rebuild the city on a smaller but nonetheless grand scale. A decade later, many aspects of the Youngstown 2010 plan crafted under the leadership of Mayor Jay Williams have produced success. Witness the transformation of downtown Youngstown into a more vibrant center of culture, commerce and residential development. Or look at the progress in demolishing thousands of vacant and abandoned housing units in all corners of the city. But for all of those and other achievements, much work remains to complete the city’s transformation from a steel-industry titan of 170,000 people to a mid-sized and diversified urban center of about 100,000 fewer people. A critical piece of that unfinished work hinges on continued downsizing of infrastructure, increasing green space and better connecting and using the city’s strongest assets. That’s why we’re pleased to see the Eastgate Regional Council of Governments, in close cooperation with city leaders and others, demonstrate dogged persistence in once again seeking federal grant money to expedite Youngstown’s ongoing makeover. Specifically, COG officials are putting the finishing touches on a $10.4 million grant application for a piece of the $1.5 billion pie available from the Donald Trump administration’s new competitive BUILD [Better Utilizing Investments to Leverage Development] program within the U.S. Department of Transportation. BUILD replaces a very similar program under the Barack Obama presidency, known as TIGER [Transportation Infrastructure Generating Economic Recovery]. Over the past three years, the city has sought funding from the programs for its SMART2 project to further revitalize the downtown and near North Side. The framework for the new plan was laid out for attendees of a public hearing on it last week downtown. Officials are using that input to fine-tune the plan before submitting it by the July 19 deadline. The Youngstown SMAR2T Network would connect Strategic, Medical, Manufacturing, Academic, Residential, Recreational and Technology centers in downtown Youngstown north to YSU and end at St. Elizabeth Youngstown Hospital. In short, the funding – coupled with a similar-sized match in local dollars and in-kind contributions by local stakeholders – would pay for needed infrastructure, safety and aesthetic improvements throughout the project area. Although the federal grant program has a new name and is putting an added focus on assisting rural areas, it still plans to dole out about 70 percent of its pot to urban areas and most of its requirements match those of TIGER. And once again, the Youngstown proposal clearly satisfies those requirements. First, elements of the SMAR2T plan focus primarily on road and public transportation improvements, the key foundation of the BUILD program. The grant proposal calls for putting Fifth Avenue on a so-called “road diet,” reducing it from six lanes to a divided boulevard with a median and one lane on each side. Other major road improvements are planned for such streets as Commerce, Federal, Front and Phelps. New to this year’s proposal is an element that strengthens its all-important public-transit dimension. It calls for activating autonomous, driverless shuttle vehicles to connect the Mercy Health Campus, YSU, the downtown central business district and the new chill-can plant operated by Joseph Co. International on the near East Side. In those and other respects, the proposal satisfies the key criteria under evaluation for the grant award. They include safety, economic competitiveness, quality of life, environmental protection, innovation and community partnerships. We would add that the Trump administration should look favorably upon the proposal as it combines federal funding with other public and private investment to produce jobs and promote development. In the coming months, we hope officials at the DOT give it a fair and full evaluation. We also hope others who have backed the SMAR2T proposal in years past, including our congressional delegation, renew their support for the project’s new and improved version. We’re hoping that persistence combined with a fine-tuned proposal will result in full funding for SMAR2T. That could go far toward reshaping the face of Youngstown from a center of incredible shrinkage to one of modest but well-managed growth. January 27, 2017 11:44 a.m.
January 28, 2017 12:03 a.m.